Sydney is known for nightlife, trails, beaches, parks, and museums. Your plan includes some of its best attractions: get to know the fascinating history of The Rocks, admire the landmark architecture of Sydney Opera House, take a stroll through Darling Harbour, and trek along Bondi to Coogee Beach Coastal Walk. 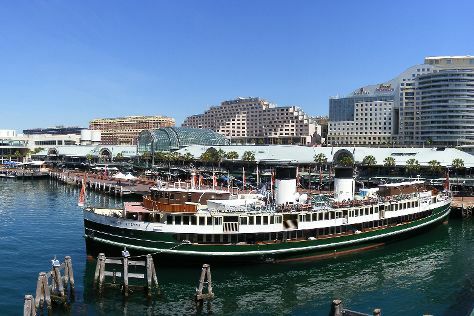 To see maps, where to stay, and tourist information, refer to the Sydney online sightseeing planner . Use the Route module to find travel options from your starting location to Sydney. December in Sydney sees daily highs of 32°C and lows of 21°C at night. Cap off your sightseeing on the 25th (Tue) early enough to travel to Gold Coast. Kick off your visit on the 26th (Wed): find something for the whole family at Sea World Theme Park. 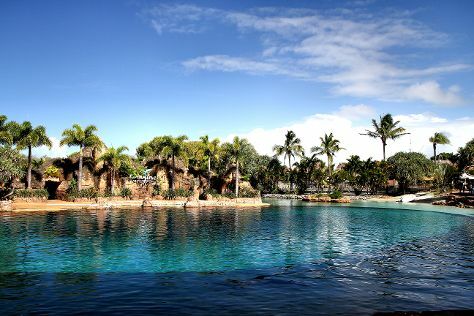 Get ready for a full day of sightseeing on the next day: get in on the family fun at Warner Bros. Movie World, then enjoy the sand and surf at Surfer's Paradise Beach, and then find something for the whole family at Infinity Attraction. To see traveler tips, ratings, maps, and more tourist information, refer to the Gold Coast itinerary builder tool . Traveling by flight from Sydney to Gold Coast takes 3.5 hours. Alternatively, you can do a combination of flight and train; or drive. In December, daytime highs in Gold Coast are 32°C, while nighttime lows are 22°C. Cap off your sightseeing on the 27th (Thu) early enough to travel back home.